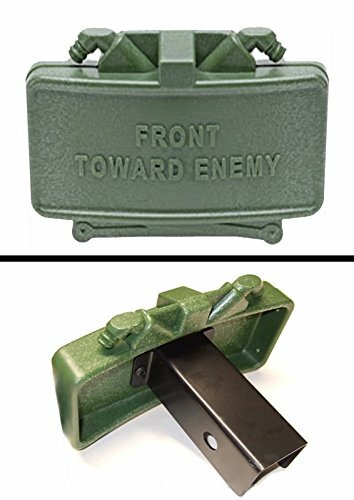 Claymore Mine Hitch Cover - Moar Stuff - You don't need it but you know you want it. Auto & BoatGifts for DadGifts for MenJokes & Gag GiftsSpy & Tactical GearWTF? 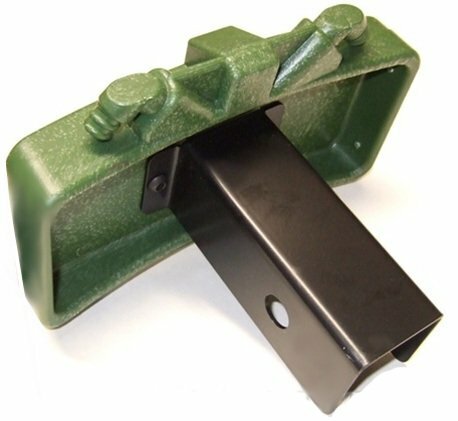 The Claymore Hitch Cover fits standard 2 inch hitch receivers. It is manufactured from UV-stabilized solid injection molded polypropylene for superior durability & to retain it's original color without fading over time while facing the elements. The connectors and internal space are solid. Check any local regulations. This product is prohibited in some states including but not limited to the following ones: Colorado, Florida, New Hampshire, Colorado, or Conneticut. This Claymore Mine Hitch Cover will fit standard 2″ hitches and will definitely discourage tailgaters. Well, the ones with military experience, anyway. 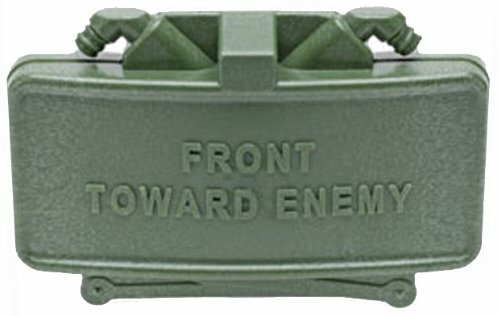 Modeled after the M18 Claymore mine, this hilarious trailer hitch cover is almost indistinguishable from the real thing while cruising down the road at 60 MPH. Made from UV-stabilized solid injection molded polypropylene for superior durability. It will also retain it’s color without fading over time while facing the elements. Oh, and of course it will keep your trailer hitch nice and protected when not in use. However, before you order, you might want to check your local laws. These covers are prohibited (gee, I wonder why) in some states including but not limited to Colorado, Florida, New Hampshire, Colorado, and Connecticut. I imagine they’re also illegal in most places outside of the U.S. If you don’t you’d better hope the cop who gets behind you has a really good sense of humor. Dimensions: 8.5 x 6.7 x 6.3 inches. Materials: Steel and injection molded polypropylene. Does not come with a M57 firing device for obvious reasons. Also comes in Dessert Tan.